Beginning every morning, I aggregate opinion and reporting from more than a dozen right-leaning websites for my website TheRighting and its companion newsletter. My goal is to inform the middle and left to the thinking and voices from the right (and far right). For those of you, like myself, who woke up November 9, 2016, and wondered how the country landed in what seemed to be an alternative universe, these websites provide a rich trove of clues. Breitbart recorded more audience visits in December than Politico, Newsweek and Slate. Based on this research into site traffic and my own regular visits, I have nine observations to make about audience traffic to right-wing websites over the past several months. Traffic to FoxNews.com far exceeds every other conservative website. Let’s just call it what it is — the 8,000-pound gorilla of right-wing websites. 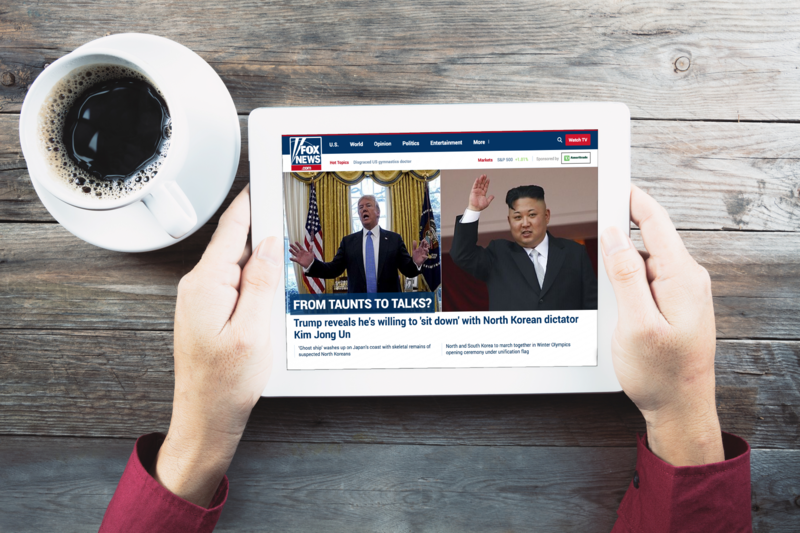 In December, FoxNews.com recorded more than 313 million site visits. That’s almost four times the number of visits to Breitbart, the second most popular right-wing website. Furthermore, FoxNews.com had more visits in December than the next 19 sites on the list combined. And there’s more bad news on the horizon for the competitors of FoxNews.com. Politico reported last month that FoxNews.com is “a sleeping giant that is about to wake up” by increasing staff and refining its pro-Trump voice. With monthly visits in excess of 80 million, Breitbart recorded more audience visits in December than mainstream media sites like Politico (69 million), Time.com (68 million), Newsweek (51 million) and Slate (43 million). And its December audience was more than double the size of the next closest conservative website, The Daily Caller. Rush Limbaugh’s website, where his staff posts transcripts of his shows, consistently ranks in the bottom of the top 20 right-wing websites as monitored by TheRighting. He’s a radio powerhouse but he’s a mere mortal on the web. What’s surprising about his relatively low digital numbers — just under four million visits in December — is that his site is well organized by the day’s topics and easy to navigate. You’d think that more audiences would abandon his radio show and just read him online. 4. Celebrity conservative websites: All admirals. Not enough sailors? Pat Buchanan. Ann Coulter. Sean Hannity. Bernard Goldberg. Todd Starnes. They’ve got their own name-branded websites that lean heavily to the right. Yet none of them except for Limbaugh have cracked the top 20 ranked websites in the three months that TheRighting has monitored them. Most don’t post on a daily basis and that’s keeping traffic relatively low. More writers for those sites might solve that issue. Two stand out: The Washington Examiner and The Washington Times. Both were top-ten conservative websites in December based on audience visits. The Washington Examiner in particular looks like an up-and-coming brand. In November, when 85% of the top 20 conservative websites posted declines in visits from a year ago when Trump was elected, The Washington Examiner recorded a 16% spike in audience visits. Can a print magazine founded during the height of the Eisenhower administration make it in a digital world? Apparently so. The National Review, founded in the 1950s by conservative William F. Buckley, Jr., attracts more than ten million visits a month to its site. It’s close to being a top ten conservative website. Credit the magazine…uh website…with new content posted every day that’s provocative and thoughtful. PJ Media. The average visit duration to PJ Media in December was a whopping 32 minutes, according to SimilarWeb. FoxNews.com was a distant second with the average visit clocking in at a very respectable 6:17 minutes. (If you’re wondering, the average visit duration to CNN.com in December was 4:01). We’re not quite sure about the secret sauce that keeps PJ Media so sticky but the site uses video whenever possible, updates its home page frequently, and adds widgets to encourage users to more time on the site. 8. Over there: Top conservative website with the largest percentage of visits outside the U.S.
Infowars. Twenty-two percent of its audience visits came from outside the U.S. Its ultra-right-wing slant seems to attract visitors from around the world but especially Canada, the U.K., Australia and the Netherlands, setting it apart from the other top conservative media sites. RushLimbaugh.com and the One America News Network are talking to almost entirely domestic readers online. Ninety-five percent of traffic for both sites comes from the U.S.
Howard Polskin is the president, founder and chief curator of TheRighting, which launched in September 2017. He spent the first half of his career as a journalist. Polskin has also worked in public relations and corporate communications for a variety of companies including CNN.